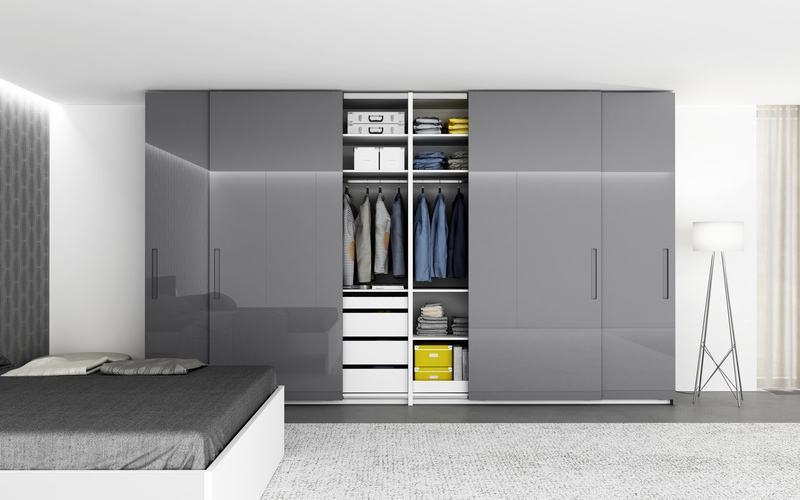 New wardrobes and closets! We have attractive and sophisticated models in a non-standard wide range of products for you. 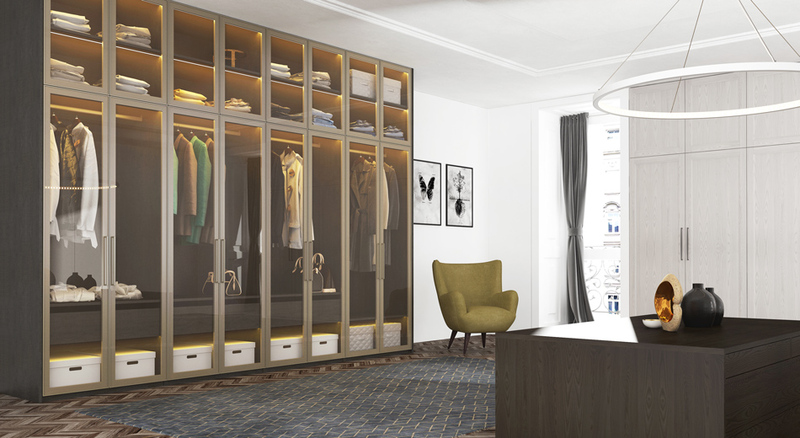 The long awaited and prepared innovations of our wardrobes and closets are here! 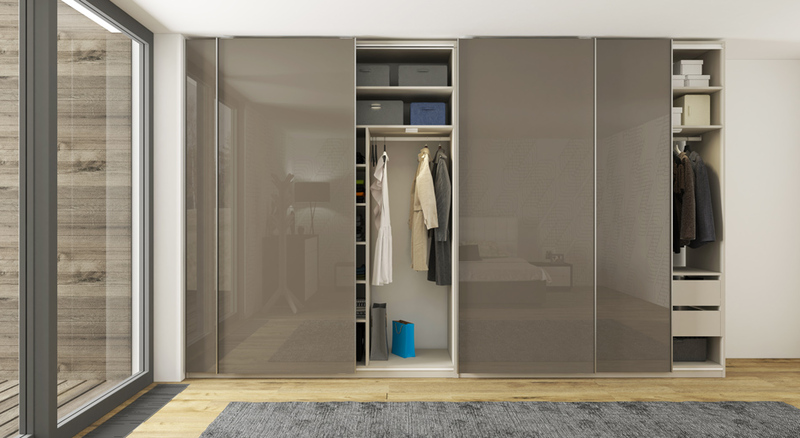 We have a whole range of such new models and innovations that turn clearly practical and simple features as the wardrobe or closet is into an attractive and design part of your home! You can have a look at these and other models in the products where you can also see specific variants of the materials. 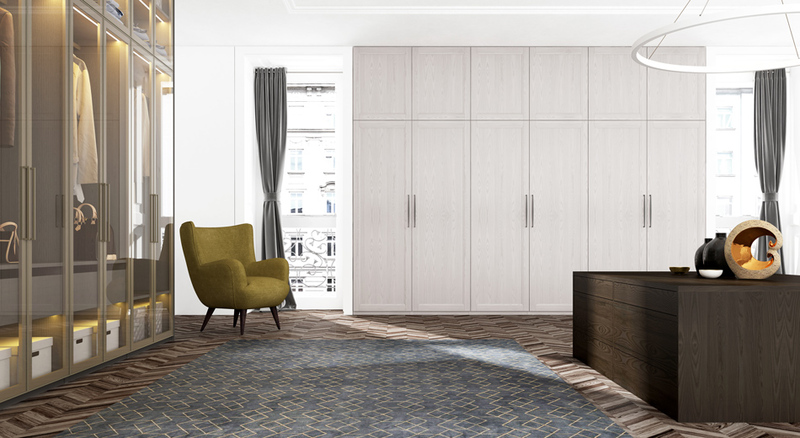 We do not have to mention the best advantage – the perfect visual and quality harmony with other HANÁK furniture parts in frame of the HANÁK INTERIOR CONCEPT. 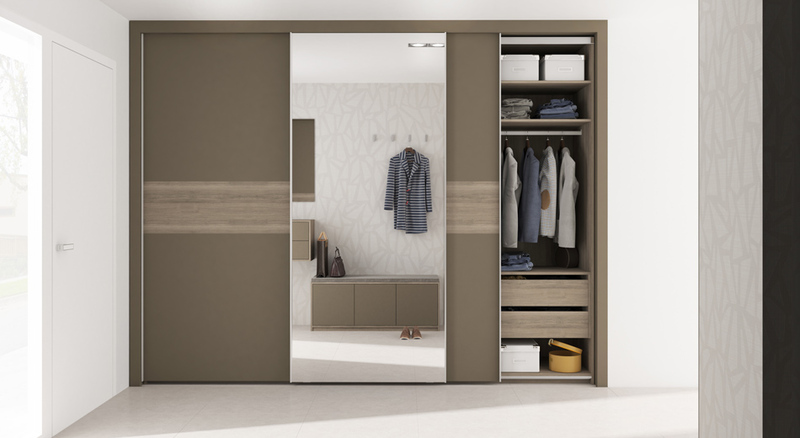 As a domestic producer, we are convinced that we provide the best quality, most attractive and widest offer of wardrobes and closet systems in the Czech Republic. 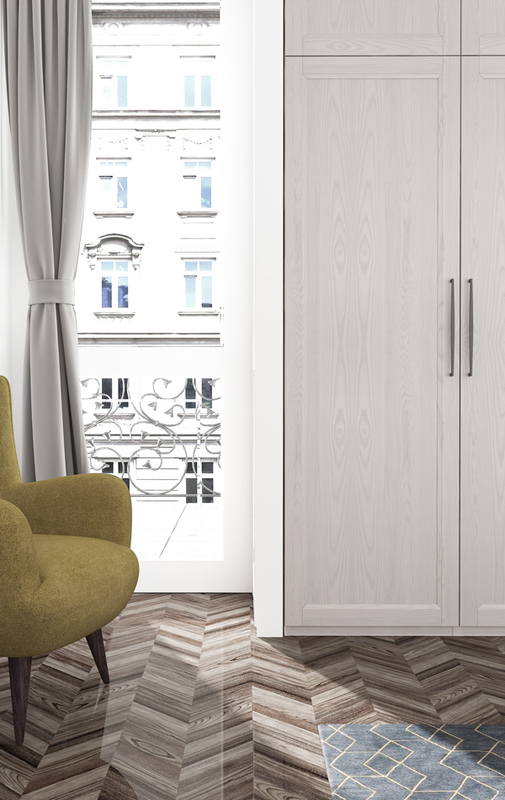 You can have this new model with opening doors both in a classical closed set and in a set enriched by inserted niche and above all a comfortable seat. 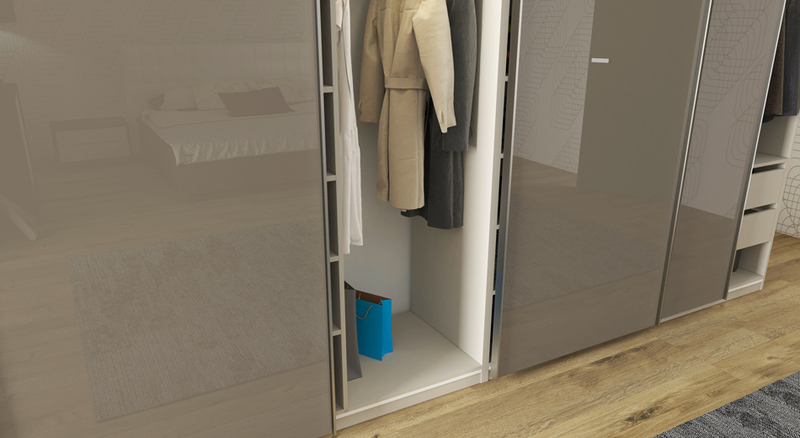 It is also an example of a corner solution to the wardrobe. The niche and place to sit highlight thanks to the material applied on them. 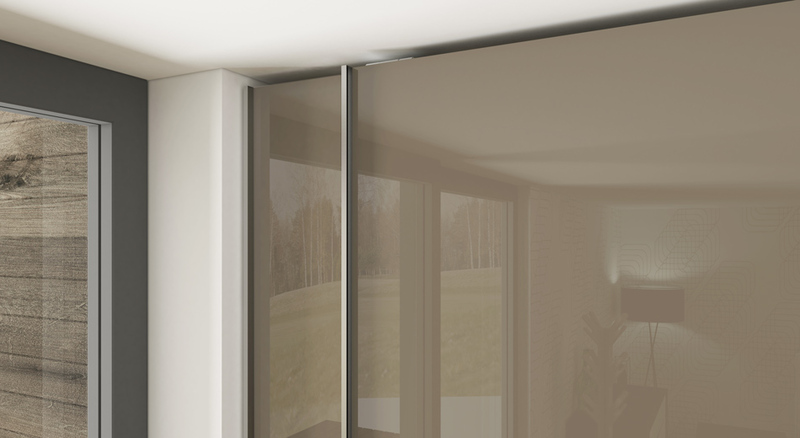 The RIM model represents a highly elegant wardrobe with sliding doors completed with a handle over the full length of the flap. 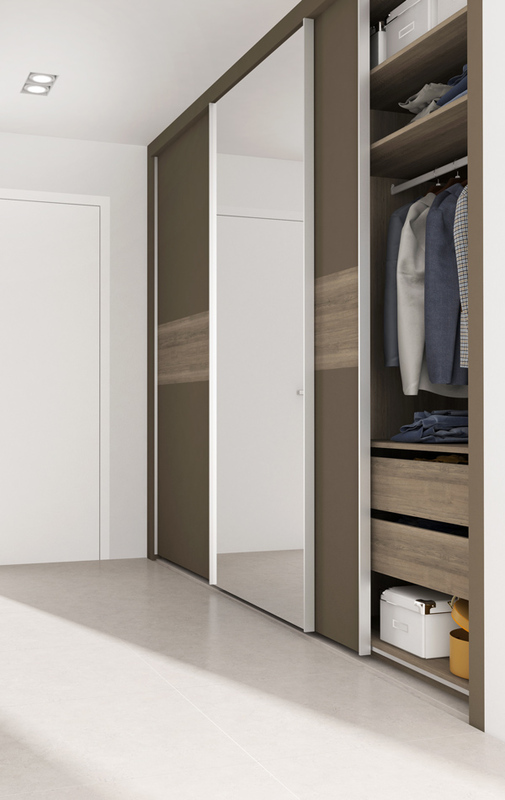 All the construction of the wardrobes with sliding doors is hidden behind them. There are no visible rails or other elements. 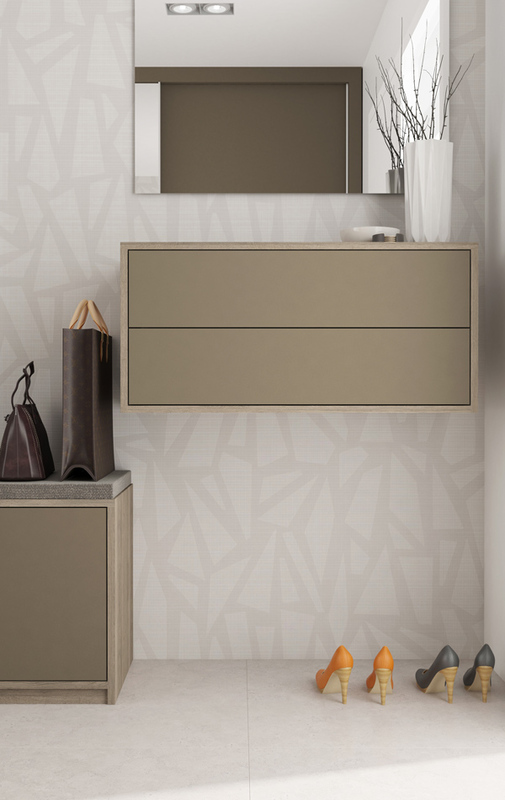 The result is an undisturbed appearance of the door flap the lacquer or wood decor highlight on. 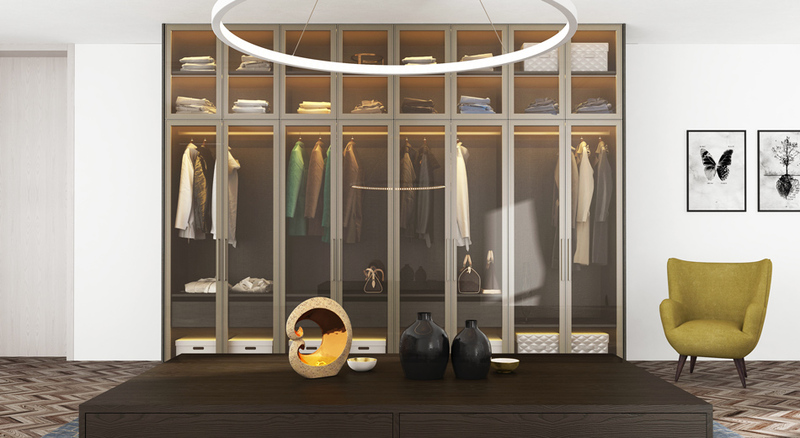 Also the seemingly uncombinable things can be combined in your interior. 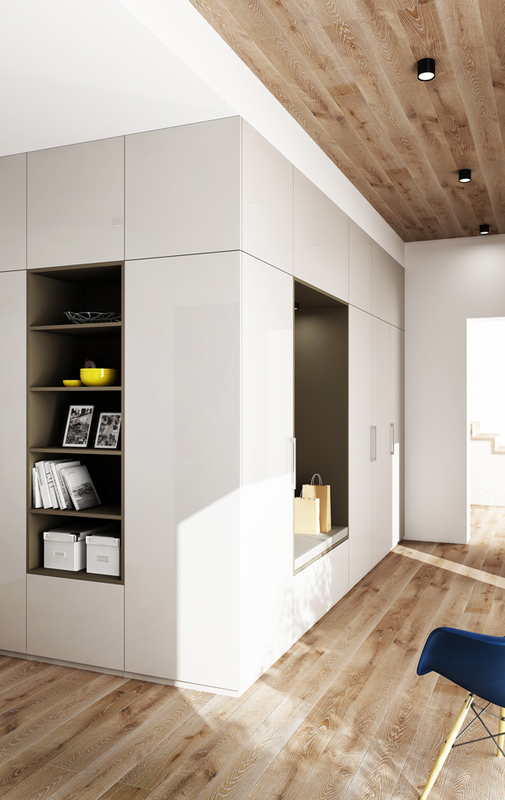 The following photos prove the originality in connection of the veneered wardrobe with a subtle classic frame (corresponding to the kitchen model of the same name) with highly modern glass display cabinets with interior lighting. What to say? Extravagance and classic in a strong interconnection. The HARMONY model is multifunctional. 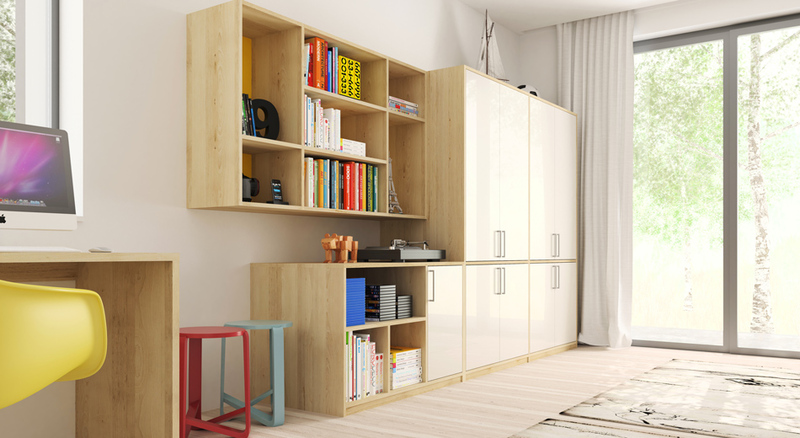 It was developed not only for a set of classical wardrobes with opening doors but it also offers variability in connection of deep wardrobes with shelves turned into playful sets that can find their place in chidren rooms, student rooms and home offices as well. A living room set can be assembled from these model components. Everything is custom-built. 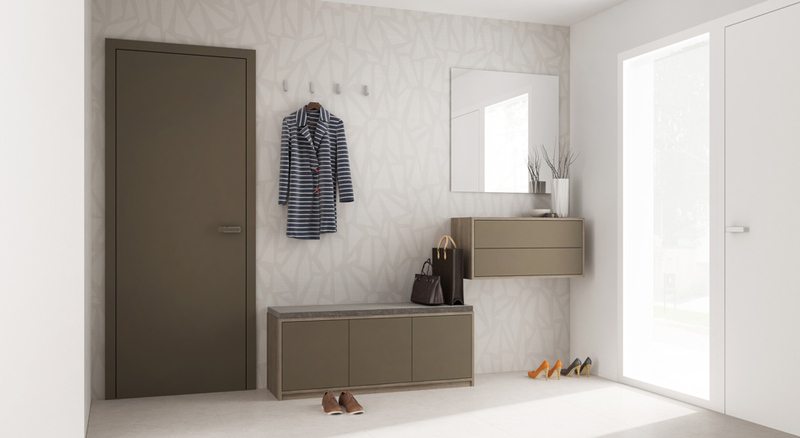 Make a good impression directly behind your entrance door by harmonizing smaller cabinets and shelves with a large wardrobe in the hall of your house or aparment. The RIM model has already been introduced. 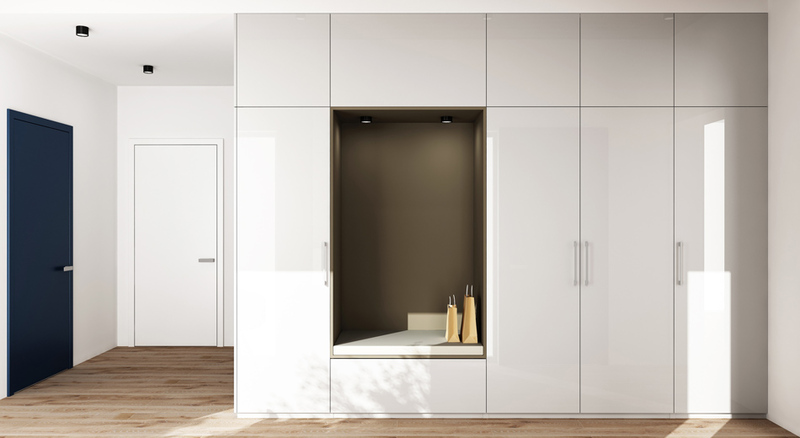 Here you can see its variation with a mirror and effective inserted wardrobe framing. 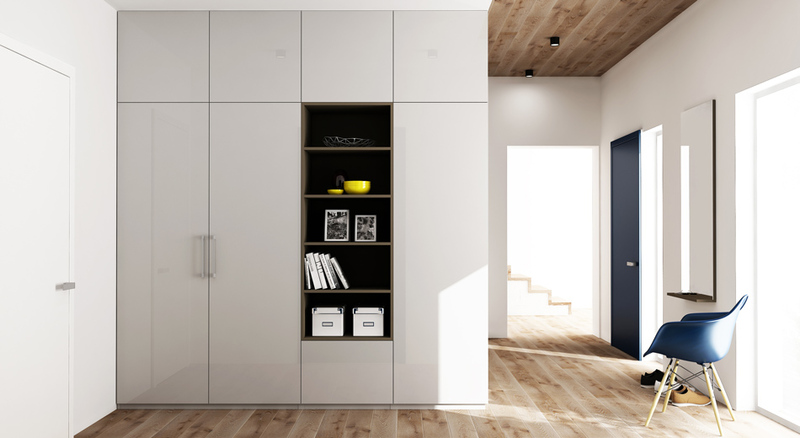 As you appreciate the smaller cabinets and shelves in your entrance interior, the final combination has been completed with custom-built cabinets of the HARMONY system.